Alexandros (Alexis) Stamatakis studied computer science at TU Munich and ENS Lyon (with internships in Athens, Paris, and Madrid). In 2001 he received his diploma in computer science from TU Munich. 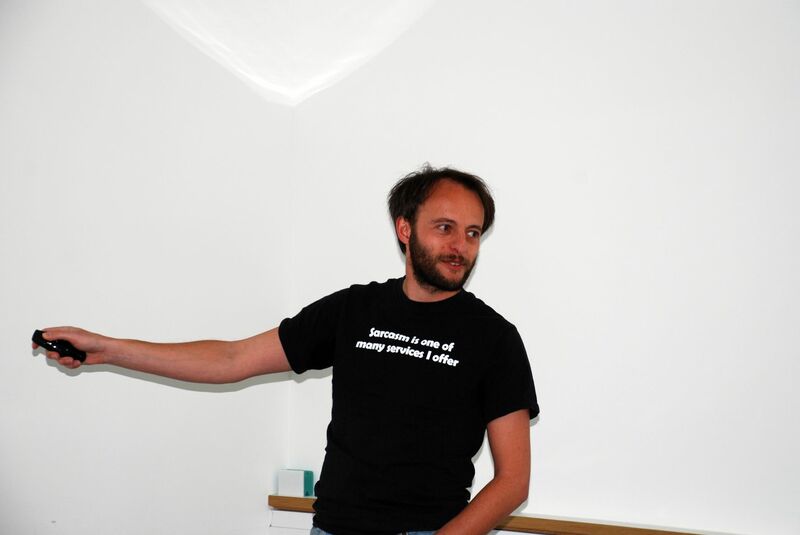 In 2004 he received his PhD (also at TU Munich) for work on algorithms and parallel computing for phylogenetic inference (reconstruction of evolutionary trees using DNA data). He continued working in the area of evolutionary Bioinformatics and parallel computing as a PostDoc at the Institute for Computer Science in Heraklion Greece (2005-2006) and at the Swiss Federal Institute of Technology at Lausanne (2006-2008). In early 2008 he returned to Munich to start his own independent junior research group (DFG Emmy-Noether grant), initially at LMU and then at TU Munich. In fall 2010 he moved to the Heidelberg Institute for Theoretical Studies (HITS) to start his new job as permanent research group leader of the scientific computing group that also entailed the management of the entire IT and HPC infrastructure at HITS until July 2013. In summer 2012 he was appointed as full professor at the faculty of computer science of the Karlsruhe Institute of Technology. This appointment is in conjunction with his position at HITS. From 2012-2017 he also held an appointment as adjunct professor at the Dept. of Ecology and Evolutionary Biology at the University of Arizona at Tucson. He was listed on the 2016 and 2017 ISI Web of Science highly cited researchers lists for the field of computer science. His main research interests are algorithms, parallel computing, parallel architectures and evolutionary Bioinformatics. Before getting involved in Bioinformatics and parallel computing, Alexis was primarily interested in writing aviation software, in particular everything related to Air Traffic Control. The technical report he produced back in the late 90ies while doing an internship at the Eurocontrol Experimental Center near Paris, France got recently cited, this is his favorite citation. Member of external advisory board for the MARBIGEN project at theΙnstitute of Marine Biology, Biotechnology and Aquaculture, Heraklion, Greece. Member of the scientific advisory board of the Computational Biology Institute in Montpellier, France. As of 2019: member of scientific committee of SMPGD (Statistical Methods for Post Genomic Data analysis) workshop series. Nicholas Pattengale (co-author; PhD student with Bernard Moret at the University of New Mexico, successful defense in March 2010). Nick received the QForma prize for the best dissertation in engineering and computation in the academic year 2009-2010 at the University of New Mexico. ISMB/ECCB 2019, July 2019, Basel, Switzerland. Workshop on Algorithms in Bioinformatics (WABI), September 2019, Niagra Falls, New York, USA. Workshop on Algorithms in Bioinformatics (WABI), August 2018, Helsinki, Finland. 4th International Conference on Algorithms for Computational Biology (AlCoB 2017), Aveiro, Portugal, June 2017.
International Supercomputing Conference 2013, Leipzig, Germany. IEEE HCPP 2010 PC member "Parallel and Distributed Algorithms Track"
IEEE HCPP 2010 PC member "High-Performance Scientific and Engineering Computing Track"
co-chair IEEE Cluster 2010 conference workshop on "Parallel Programming and Applications on Accelerator Clusters"